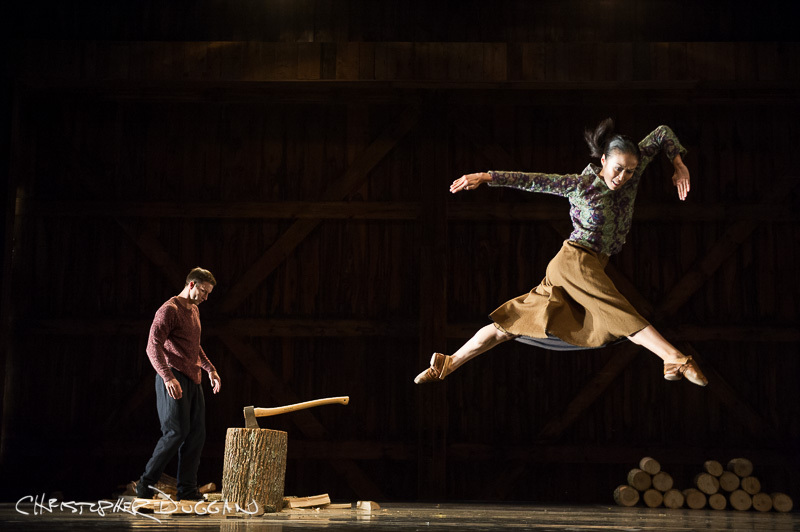 The companies performing in the Ted Shawn Theatre and the Doris Duke Theatre have their dress rehearsals every Wednesday afternoon during Jacob’s Pillow Dance Festival. They happen between 2pm and 5pm, and they often overlap. These dress rehearsals are my only time to photograph the companies to make images for the press to use. 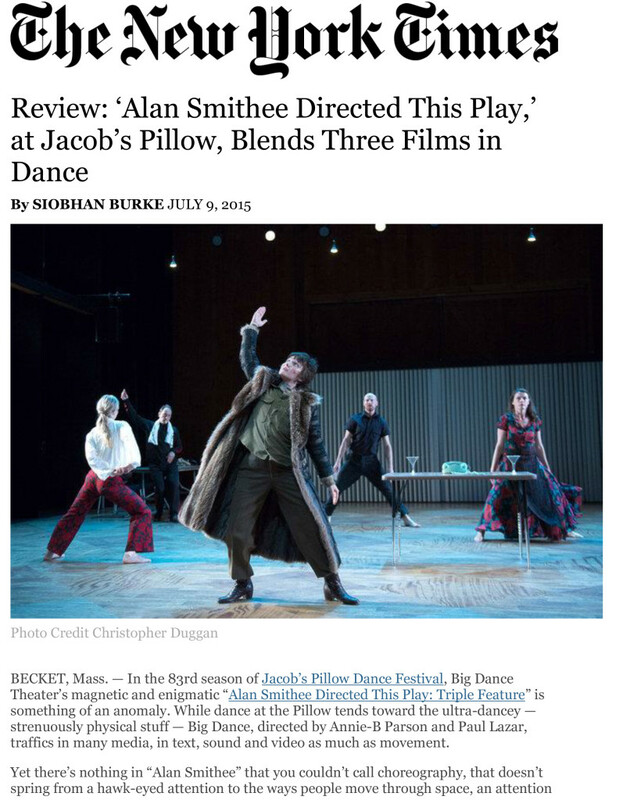 Daniil Simkin’s INTENSIO in The New York Times. 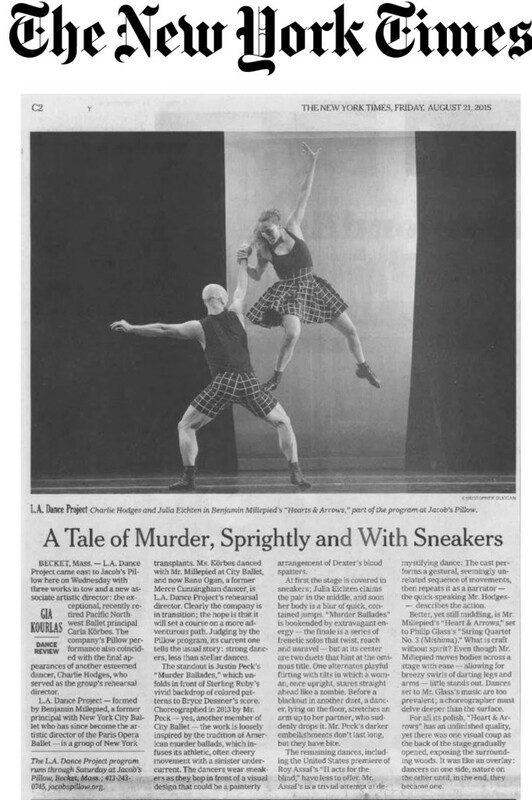 L.A. Dance Project in The New York Times. Much to my surprise, The New York Times came to review 11 companies this summer. When they came, my boss, the Director of Marketing and Communications, charged me with making images for The Times’ exclusive use. 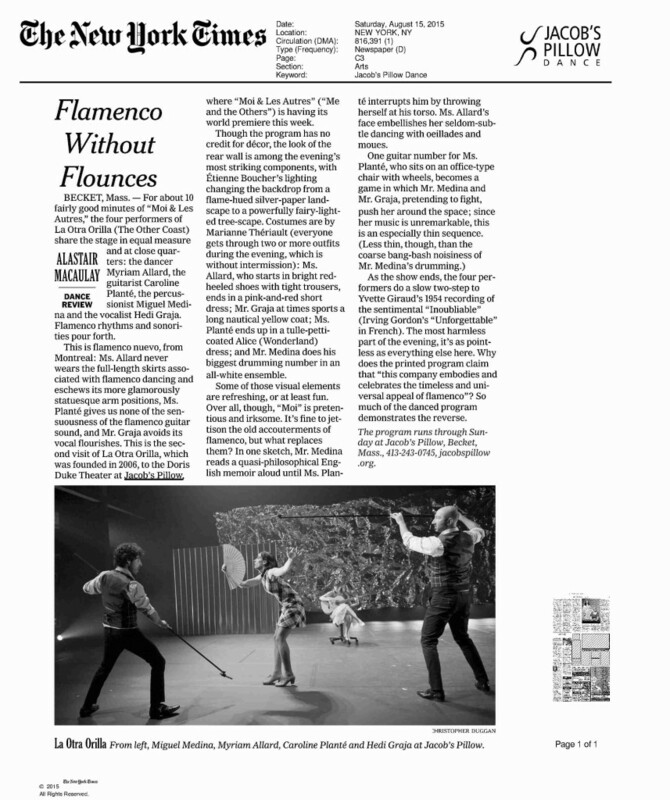 La Otra Orilla in The New York Times. That gave me an extra kick each Wednesday and extra excitement knowing that the images would be seen by an even wider audience. Martha Graham Dance Company, a photo chosen by The New York Times. 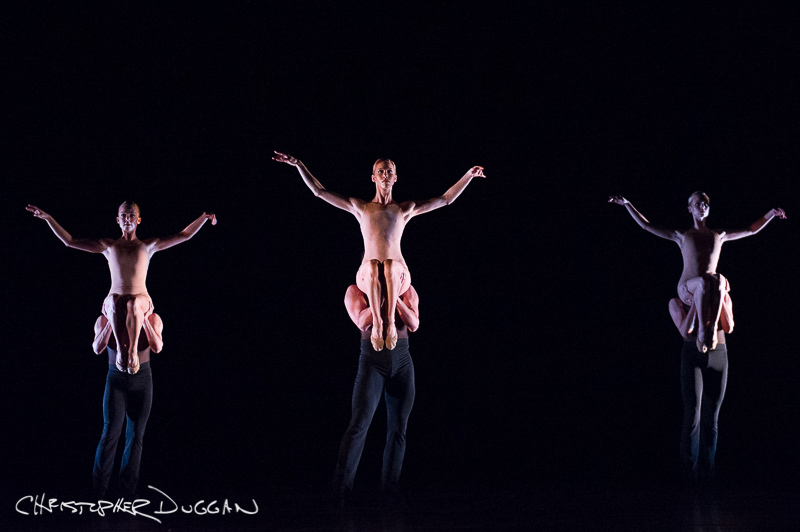 Sarasota Ballet, a photo chosen by The New York Times. 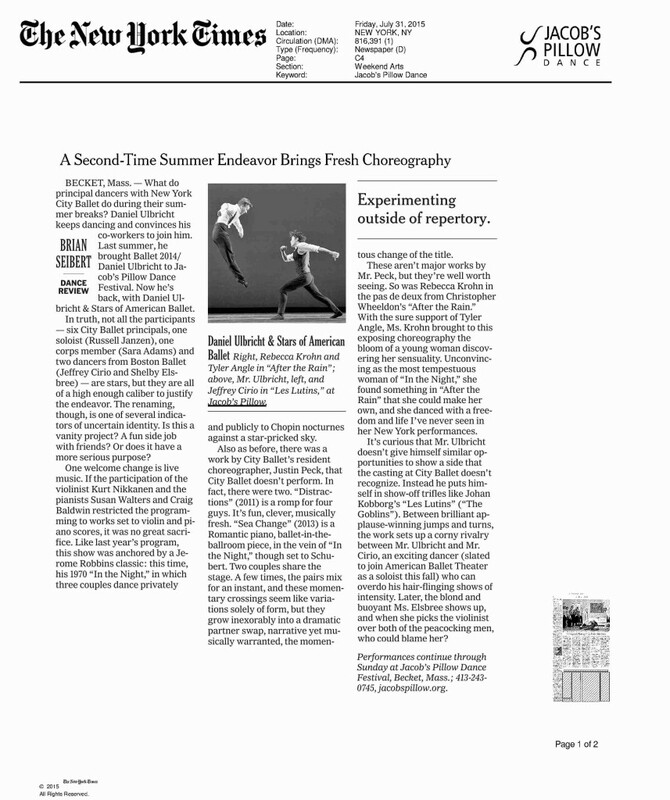 MADBOOTS DANCE in The New York Times. MADBOOTS DANCE, the photo in full color. The Pillow does not allow photography during live performances in the Ted Shawn Theatre or Doris Duke. The only exception is when it’s the only time The New York Times can get the shot they need. When the company only does one piece in costume during rehearsal or they do only a “photo call,” then I get the OK to photograph the show live. 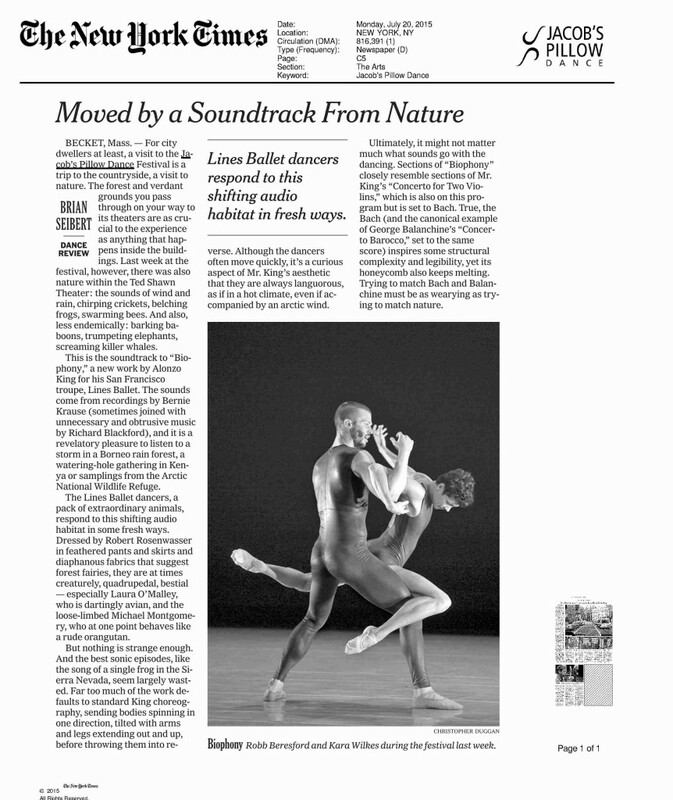 Alonzo King’s LINES Ballet in The New York Times. Daniel Ulbricht in The New York Times. That brings additional challenges that I love to play with: photographing dance amongst audience members, being as stealthy as possible so I don’t disrupt their experience, shooting conservatively, being very choosy about the moments I use to make a photo, holding back during quiet or silent moments in the work, and only being able to make images from one static location. 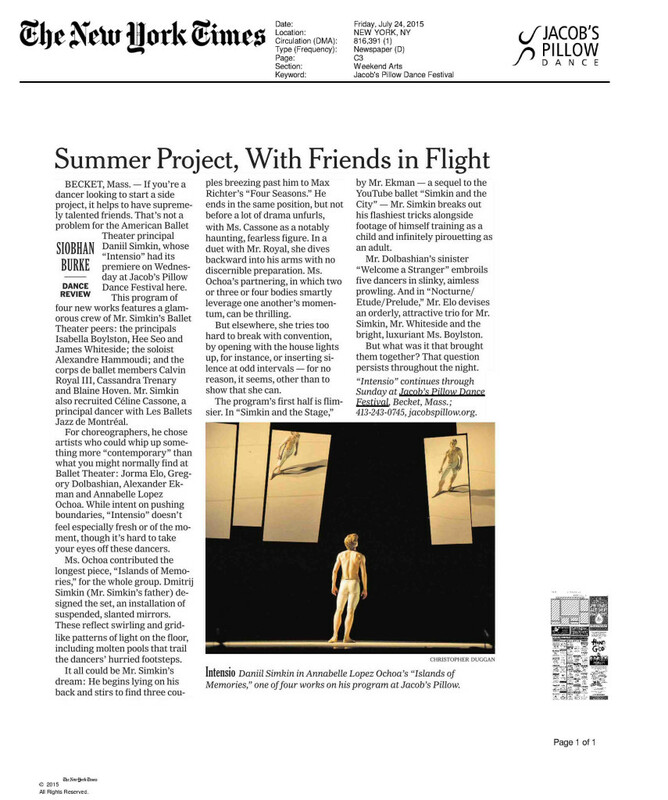 Sarasota Ballet, chosen for The New York Times. Company Wang Ramirez, chosen for The New York Times. 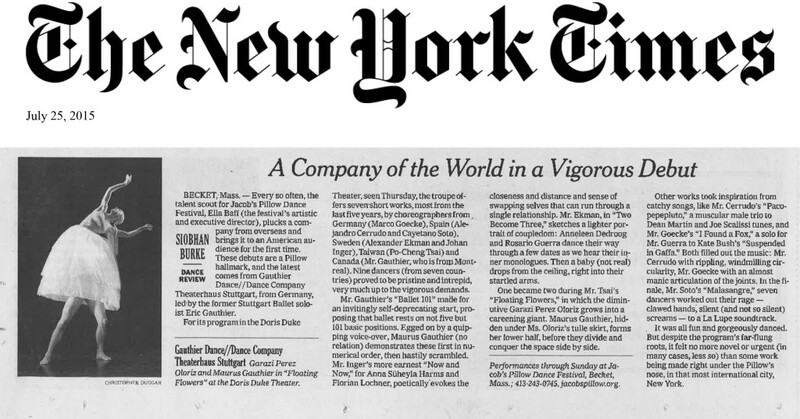 Gauthier Dance in The New York Times. 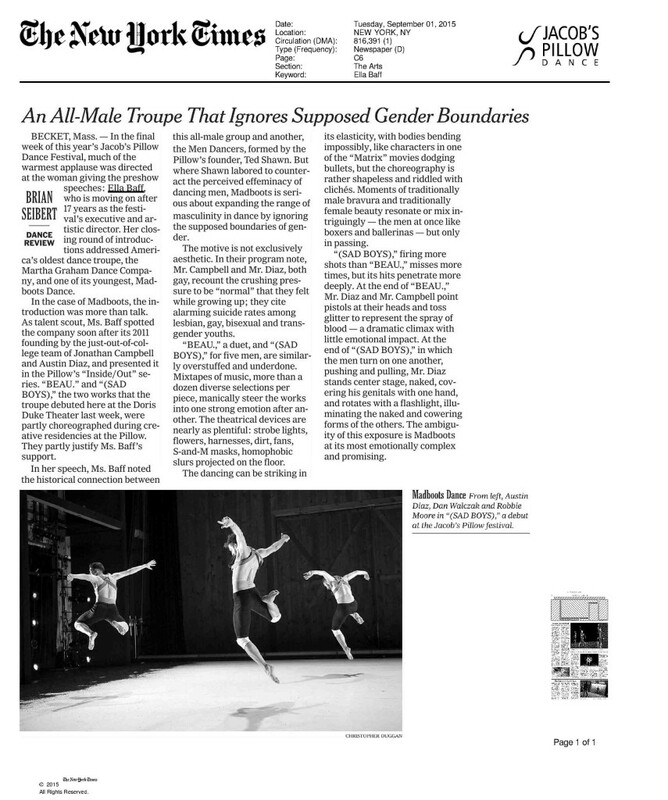 Big Dance Theater in The New York Times.